past the area where photographer, TY Bello, was having a photograph session with London-based rapper, Tinie Tempah, in 2016, much to her dismay that it would modify an amazing career.Her fortunes quickly changed for the better and her story enthralled millions of Nigerians, who were amazed by her good luck. Many further warmed up to her because she usually appeared with her spouse, Sunday, for interviews and she always spoke of him glowingly. However, it seems there is trouble in their paradise. 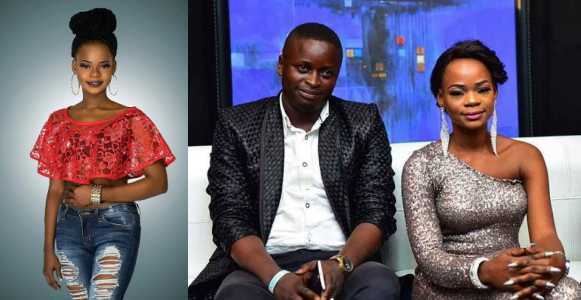 Sunday Orisaguna recently granted an interview in which he alleged that Jumoke had become rude and no longer respected him. Denying that there was any rift in their union, Olajumoke said, “Whatever is going on is known to God. We are still together. He has never discussed all what he has been saying outside with me, so I don’t understand what he is driving at because we sleep in the same house.